Mini Grid, one of the premiere racing enthusiast shops in the world, owned by Multimatic driver Scott Maxwell, will be hosting an auction on Sunday April 30. The auction will be for the estate of the late Bob Brockington, auto racing historian and long time supporter and family friend of the Maxwell family. 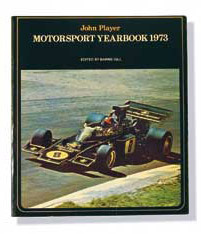 The auction will feature the rather extensive book collection that Bob had amassed through the years. It will take place at the Mini Grid shop in Toronto Canada, but accommodations have been made for those who cannot be in attendance.